now taking suggestions for decade nickname. | six words to change the world. ← a quick post from the airport. now taking suggestions for decade nickname. 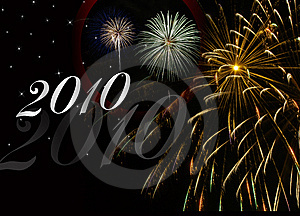 Cheers to 2010! I was pondering today what the nickname for the newest decade would be when I realized something…no one ever came up with a nickname for the past 1o years. Sure, the ’80s, ’90s, etc. kind of wrote themselves, but how is it possible that not one of the six billion of us could think of something to call ’00-’09 collectively? Come on people. Lets do better for the next 10. On another (much more embarrassing) note, I shamefully admit that I was, yet again, sucked into The Bachelor’s premiere episode tonight. The Bachelor is now on its 14th season, not counting The (far superior) Bachelorette seasons. New Bachelor Jake was surprisingly less douchy than he was last year, but the majority of the 25 female contestants put all women to shame. Who watches this garbage? Oh yeah, me. can you feel my rolling eyes? This season promises to have just as much ABC Network-induced drama and fake-by-the-railing emotional breakdowns as any other season, so I’ll probably DVR every episode. Especially because the gossip is a contestant and one of the show’s producers were having an affair while taping was going on. Not even The Bachelor producers take this show seriously! 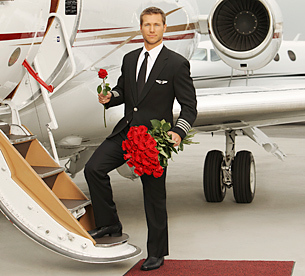 And one last thing, because Jake is a pilot – the title of this season is “The Bachelor: On the Wings of Love.” ABC, FIRE your writers. Um, my roommate and I also got sucked into watching. I was on TVGuide.com looking for something to watch because we aren’t fancy enough to have an actual guide on our teevee, and the banner was like WATCH THE BACHELOR TONIGHT. And we were like, okay. Next thing we knew, we were crying/laughing and my roommate was plugging her ears (literally) at some of the comments. It’s so bad. So bad. But so amazing. Using other synonyms for “zero” yields even more possible nicknames for this decade: zippies, zilchies, nonesies, zeroski’s (accent on the “o,” as in zerOskis), pilates, knunchuks, kublai-kahn, etc. Stephen H., I heart you. Personally, I’m voting for “Pubies.” It just has that ring. Pingback: guys, i’m addicted to the bachelor. « six words to change the world.